Lot of twists and surprises are happening in the real life of Tamil industry as well and this could be the best ample evidence of how things change. The actor, it may be remembered, had lost out on several acting assignments as he had campaigned for the DMK during the previous elections and this did not go too well the current ruling party AIADMK and the Chief Minister of Tamil Nadu J Jayalalitha. The actor made his comeback in showbiz in film ‘Tenali Raman’ after 3 years gap. 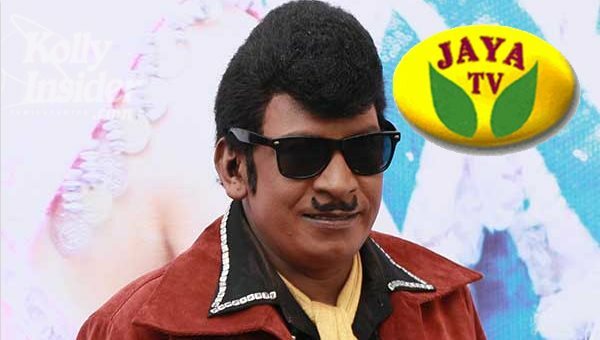 It is well known that Vadivelu had cancelled the press meet pertaining to the promotions of his upcoming film ‘Eli’ on the date the results of TN CM J Jayalalithaa being acquitted. This was the happening buzz that prevailed across the towns, but now everything has been proved to be wrong. Now it has been confirmed that the satellite rights of this film has been acquired by Jaya TV and now all has become well with them. The film is directed by Yuvaraj Dhayalan, who earlier made his debut directorial with the movie ‘Potta Potti’, a film that marked the debut of cricketer Sadagoppan Ramesh in lead role following which his next movie titled ‘Tenali Raman’ starring Vadivelu in lead role was an average grosser. Now for the second time, both of them have teamed up for ‘Eli’, which has won good reception and appreciation from media channels and press personnel with the trailers and songs. Sadha makes her comeback in Tamil industry with this film and it will be a full length comedy caper with the perfect punch and treat of Vadivelu. It is also informed that the film would be hitting screens on May 29, which predominantly happened to be the release date of Suriya’s Masss as well.